To pause a print job, click the print job and click Hold. To resume a print job, click the print job marked "Hold" and click Resume. 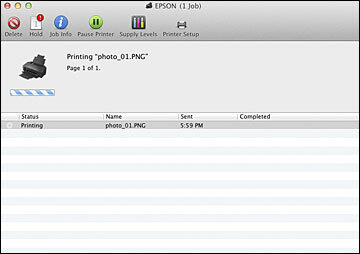 To pause printing for all queued print jobs, click Pause Printer.